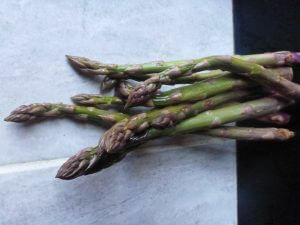 It’s that time of year when we are getting inpatient for the first of the asparagus! The amazing thing about this wonderful crop is that this year’s harvest is dependent on last year’s summer. Lots of sunshine at the end of the harvesting season goes down into the crowns to ensure that they have sufficient energy to produce lots of quality spears the following year; a poor summer will result in a much lesser harvest the following year. 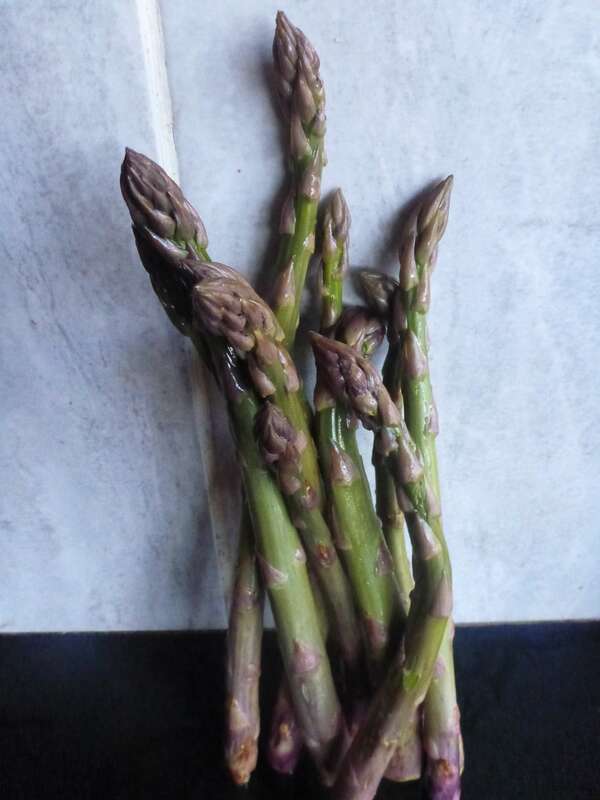 Last year’s summer was, as you may well recall, very sunny, added to which we have anadditional area of asparagus which was planted 4 years ago and now due to come on stream, so we are hopeful of a a bumper crop this year. Each evening we walk around the beds looking for the emerging spears and finally, earlier this week, we managed to find just enough for the two of us to sample for dinner. Not a lot, but enough, so we really are very hopeful that this time next week we’ll be at least offering it to our farm gate and box customers.